A high-profile tax lobbyist, Ken Kies, hosted a fund-raiser on Nantucket last week for House Speaker Paul Ryan (above), who has made rewriting the tax laws his highest priority. WASHINGTON — America’s corporate lobbyists have patiently sat out the GOP’s costly war over health care, which has resembled a Dunkirk-style retreat more than the triumph Republicans promised. Now US businesses are salivating over the next item on the Trump agenda: the biggest overhaul of the tax code in three decades. The business community has been quietly shaping terms of the debate and building support behind the scenes for what they hope is a massive reduction in business taxes. At the same time, individual tax lobbyists are watching their legions of Beltway competitors closely. To make up for all that lost revenue from cutting corporate tax rates, Congress will be looking to eliminate special-interest loopholes and breaks elsewhere in the byzantine code. That will create winners and losers in a high-stakes battle worth billions of dollars. It is the very sort of internecine conflict that has stymied previous tax-reform bids. “One person’s loophole is another’s business model and entrenched interests will fight to the death — because tax reform is the corporate ‘Hunger Games,’ ” Chris Krueger, a policy analyst at the Cowen Washington Research Group, said in a recent note to clients. The stated goal of Republicans is to improve the nation’s economy and make US business more competitive internationally by slashing their tax rates. Details of their plan remain scant, even after administration and Republican congressional leaders released a philosophical framework Thursday for drafting legislation. President Trump has said he wants to reduce the corporate tax rate to 15 percent from 35 percent, but a drop to 20 to 25 percent has been the more widely reported target from Congress. Trump this week told The Wall Street Journal he might be willing to raise individual taxes on the wealthy, if it would pay for a middle-class cut. Trump’s own previous outline for tax cuts would have heavily favored the rich, according to independent analysts. His latest statement might reflect a recognition that, with his agenda stalled in Congress thus far, any rich-versus-middle-class battle could play into Democrats’ hands. In one sign of the upcoming lobbying frenzy, a high-profile tax lobbyist, Ken Kies, hosted a fund-raiser on Nantucket last week for House Speaker Paul Ryan, who has made rewriting the tax laws his highest priority. Politico reported that tickets for the shindig started at $2,500 and went up to $10,000, which included a photo with Ryan. Kies, who did not respond to a request for comment, represents a high-powered roster of clients, including General Electric, which moved its headquarters to Boston. The US Chamber of Commerce wrote an open letter this month to all lawmakers and congressional candidates urging Congress to redouble its tax effort, which has been shoved to the side while lawmakers grappled with their messy health care battle. “Members of Congress be warned: Failure is not an option,” Donohue said. Neil Bradley, the chamber’s chief policy officer, said in an interview its drive for a tax overhaul would include grass-roots activism from members in individual states, which will pressure lawmakers in their home districts. 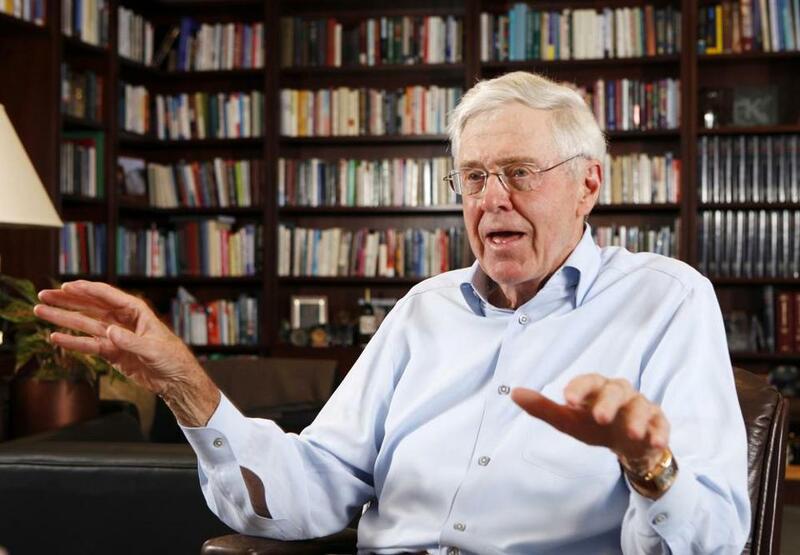 The political network run by the billionaire Koch brothers, Charles (above) and David, has pledged to spend millions of dollars to advance their vision for tax cuts. The chamber isn’t the only group gearing up. The political network run by the billionaire Koch brothers has pledged to spend millions of dollars to advance their vision for tax cuts. Also, the National Federation of Independent Businesses, a trade group for small businesses, has a couple hundred of its members — including six from New England — flying in to Washington this week to talk up the need for tax reform with their elected representatives. But all this activity and enthusiasm for lower corporate rates doesn’t make the path toward successful legislation any easier. No one wants to be the one whose favored loophole is closed or incentive ditched to help pay for a broader rate reduction. Costly corporate breaks in current tax code include the ability to shift profits overseas to avoid taxes, generous tax credits for research and development, and accelerated depreciation of machinery and equipment. “The business community remains very divided over whether — and how — to pay for it. Everyone says they want tax reform — until they’re asked to pay for it,” said Ken Spain, spokesman for the American Made Coalition, a group that has embraced Ryan’s blueprint for a new “border-adjustment tax’’ and includes major US corporations including Boeing, Johnson & Johnson, General Electric, and Waltham-based Raytheon Co.
Ryan’s border adjustment tax would essentially tax imports while exempting exports. Ryan would use new revenues to slash the corporate rate to 20 percent. 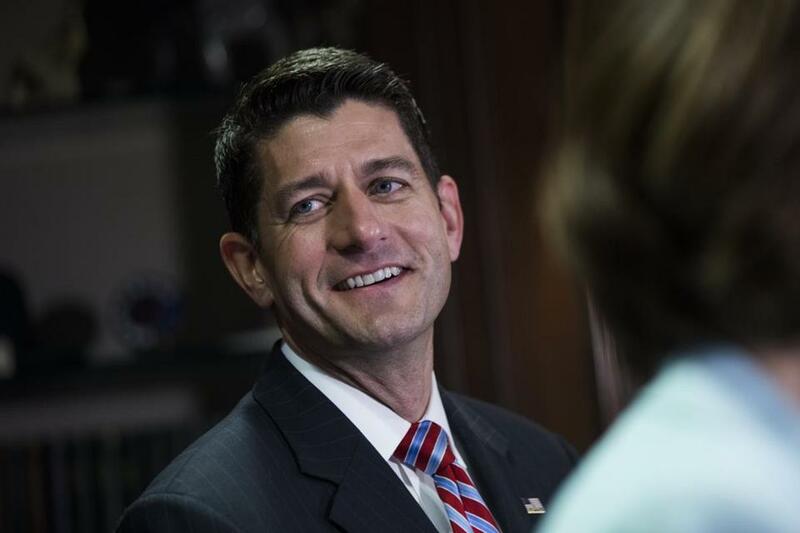 Thursday’s joint statement with White House and congressional leaders indicated that Ryan has now backed off that tax. Retailers have spent millions lobbying against the proposal, teaming up with oil refiners and automakers to form a coalition, called Americans for Affordable Products. The group ran television ads in key districts slamming it as a sure-fire way to raise the cost of goods for consumers and small businesses, while top retail chief executives plan to meet with President Trump and criticize the measure. The Koch Brothers — whose wealth flows in part from oil interests that could be disadvantaged by the border adjustment tax — launched their own expensive and sustained attack campaign. “While we have debated the pro-growth benefits of border adjustability, we appreciate that there are many unknowns associated with it and have decided to set this policy aside in order to advance tax reform,’’ said the joint statement from the GOP leaders, which included Ryan and Senate majority leader Mitch McConnell. The American Made Coalition, whose multinational and domestic manufacturing members liked the prospect of no taxes on exports, is now more focused on pushing a territorial tax system. Currently, the United States uses a worldwide system in which the federal government taxes all the income a US company makes, regardless of where it is made. A territorial tax system would mostly exclude foreign-earned income from taxation. The lobbying effort thus far has been complicated, some say, by a lack of clarity on what exactly the Republican tax plan will look like. The White House is talking with leaders from the House and Senate. Lobbyists report the talks are progressing, albeit slowly. None of the hard decisions have been made, these lobbyists said. Plenty of observers in Washington harbor deep skepticism that Republicans will have any more success with taxes than they’ve had with health care. “To me, it’s looking a lot like what happened with health care,” featuring an apparent lack of understanding about how to organize such a difficult undertaking, said Eugene Steuerle, a cofounder and fellow of the nonpartisan Tax Policy Center who was a key architect of the 1986 tax reform effort under President Ronald Reagan. Specifically, he said, GOP leaders haven’t articulated a clear set of principles that are guiding their effort, which is necessary to sell it both to business interests and the public more broadly. But key business players remain optimistic. “There is a recognition this is a once-in-a-generation opportunity to make big, fundamental reforms that are going to make us competitive,” the chamber’s Bradley said. Businesses recognize they might have to give something up to get a broader tax cut, he said.